As I browse through the video lessons in the eduCanon database, I am continuously impressed by the creative ways teachers transform traditionally non-educational videos into engaging learning experiences. For me it would be hard to envision the educational value in a Katy Perry music video or a clip from a recent Simpsons Halloween special. But, of course, I should never underestimate the creativity and tech-savviness of the teacher community! Among the most interesting video lessons like this I’ve stumbled upon are those centered around figurative language. I believe that is because English teachers recognize the prevalence of similies, metaphors, personification, and so on throughout popular culture&mdash;recognitions that an average person will miss. So what are some ways teachers have taught these literary devices using music videos and television? In this post, we’ll dive into specific video examples with embedded questions. Also, for creative uses of TED Talk videos in the classroom, I recommend our recent post, Six Ways to Use TED Talks Effectively in Your Classroom. 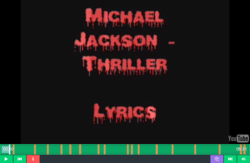 Okay, that is a bit of an exaggeration, but Michael Jackson’s Thriller is filled with literary devices that are easy to miss the first time through. While official music videos made by the artist are certainly engaging, a video with the lyrics as the focus (as in this lesson) highlights the figurative language of the song. You will also notice that the embedded pauses help focus the student’s attention on the significance of certain lyrics. Why settle for one song or television clip, when pop culture is filled with thousands of examples? In this video lesson, students are tested on whether they can recognize the literary device in clips from Step Brothers (a Will Ferrell film), The Goonies, Katy Perry videos, and much more. Moreover, the quick change from one clip to the next increases student engagement and makes the student feel like a gameshow participant. While figurative language is a challenging concept for many students, a number of YouTube stars have created great music videos to make the concept approachable and fun. 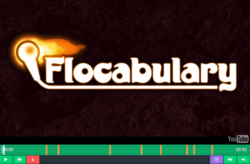 This video lesson is built from a Flocabulary rap. There are plenty more examples like these out there, so take a look. For more information about eduCanon, visit us on Twitter at @educanon123.